The Don region of Russia has seen fighting between supporters and opponents of the Bolshevik regime. This conflict has already assumed a brutal character, with both sides killing or torturing their real or suspected enemies, using terror to cow their potential enemies. The Whites had hoped that the Don Cossacks would rally to their cause, but their support has been lukewarm at best. Instead the Reds have had the upper hand in the fighting and today Novocherkassk, the region’s capital, falls to the Red Army. When Lenin hears the news, he is jubilant. Having just signalled acceptance of the Germans’ harsh peace terms, the Bolshevik leader needs all the good news he can get. The Whites have already been forced from Rostov, so now Bolshevik control of the Don is complete. Lenin proclaims the Russian civil war to be over. After Trotsky walked out of the Brest-Litovsk peace talks the Germans and Austro-Hungarians launched Operation Faustschlag, an offensive intended to force the Bolsheviks to accept their draconian peace terms. Their advance has faced little or no resistance, in a short time making gains that would have been unimaginable even a year ago. Meanwhile the Turks too are advancing unopposed into territory seized from them earlier in the war. Today the Turks arrive in Trebizond, where a Russian army brass band plays to welcome them into the city. Yesterday Germany communicated its final peace terms to the Russians. The Germans are now demanding all the territory captured since the start of Operation Faustschlag, which means that Estonia will now be theirs as well as Poland, Lithuania, Latvia and much of Byelorussia. Ukraine is also to be separated from Russia, notionally independent but effectively a German client state. 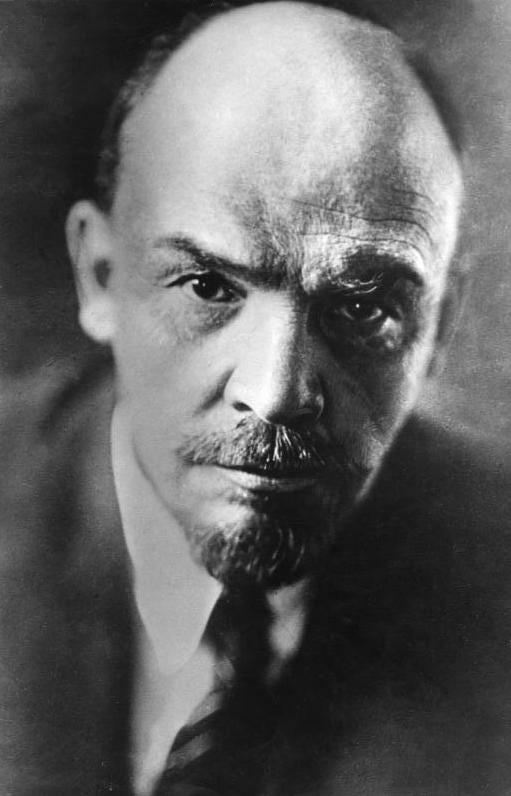 In Petrograd Lenin argues that if the German terms are rejected then even worse ones will be forced on Russia in a few more weeks, ones so draconian they could spell the end of Bolshevik rule. By threatening to resign he secures Trotsky’s abstention at the Bolshevik central committee, which votes to accept the peace, though Bukharin and his faction then resign in protest. The Soviet Executive then approves the peace proposals by 116 to 85 votes, with Left SRs and many of Lenin’s own party shouting “Judas!” at him. 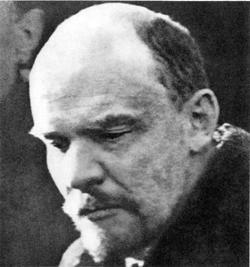 Early today Lenin sends to the Germans an unconditional acceptance of their terms. The Bolshevik leaders of Soviet Russia face internal and external enemies. German and Austro-Hungarian troops are advancing into the country, determined to force the acceptance of punitive peace terms. In the south of Russia meanwhile officers of the former Tsarist army have formed a new force in the hope of overthrowing the Bolsheviks. Under Kornilov and Alexeev the Whites, as the Bolsheviks enemies are known, have occupied Rostov. They hope to recruit the Cossacks to their anti-Bolshevik crusade. The Bolsheviks are unable to resist the German invaders but they have more luck with Kornilov and Alexeev. The Cossacks are less keen on joining the counter-revolutionaries than expected, with many even supporting the revolution. Meanwhile workers uprisings in the towns near Rostov leave the Whites in Rostov dangerously exposed. Rather than fight to the finish there, Alexeev and Kornilov lead their men on a retreat south. 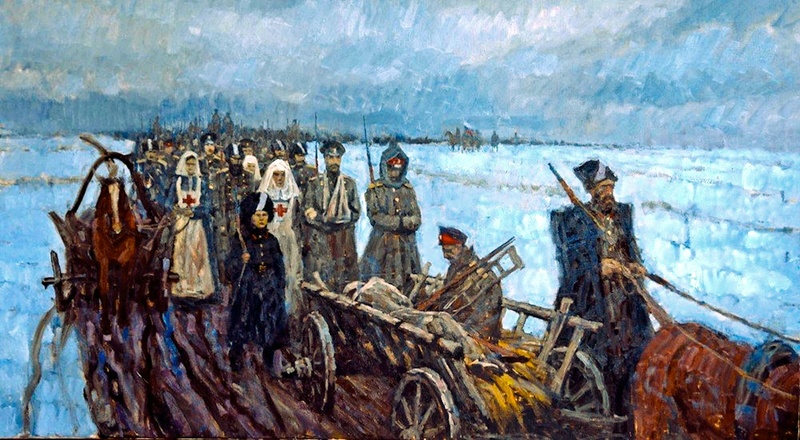 Red Army units arrive in Rostov today as the Whites march across the steppe. With the Whites are their family members and the desperate bourgeoisie of the city, who fear the rough justice of the Reds. Alexeev and Kornilov are marching towards the Kuban region, where they hope to regroup. Perhaps the Cossacks there will be more amenable to joining their war against the Bolsheviks. In the meantime they are living off the land, feeding themselves from whatever they can loot from the local peasantry. Germany and Austria-Hungary are meeting no effective resistance in their offensive against Soviet Russia. The advancing troops are able to move forward by train, stopping at each station to arrest the local Bolsheviks before moving on to the next. In just five days they have moved forward some 150 miles. In Petrograd the enemy advance has caused chaos within the ruling Bolsheviks. One faction wants to wage revolutionary war against the Germans, though Soviet Russia’s lack of an effective military force makes this a somewhat unrealistic strategy. 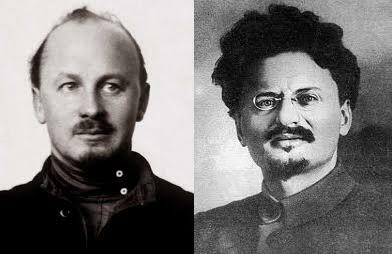 In a stormy meeting of the party’s Central Committee, Lenin managed to secure a majority in favour of accepting the German terms by persuading Trotsky to switch sides. He cabled his acceptance to the Germans but the Germans do not reply and continue their advance. What now? In desperation Lenin changes tack and backs armed resistance to the Germans. But Soviet Russia’s Red Army is a pathetic militia, in no state to take on the enemy. In desperation the Bolsheviks appeal for help to the Allies, despite the opposition of those like Bukharin who fear the consequences of trucking with imperialists. The Allies meanwhile welcome the Bolsheviks appeal for help and withdraw their support for Kornilov‘s anti-Bolshevik army in southern Russia. British progress in Palestine has slowed somewhat since the capture of Jerusalem. Allenby‘s focus now is on advancing through the Transjordan region rather than directly up through Palestine itself. As a prelude to this, his men are advancing towards the Jordan river. Today they capture the ancient city of Jericho, said by some to be the oldest continuously inhabited settlement in the world. Meanwhile Allenby’s enemies are reorganising. When Falkenhayn arrived in the Middle East to head the Turkish Yildirim group, Enver Pasha (Turkey’s war minister and paramount leader) had hoped that he would lead the recapture of Baghdad. Instead he found himself unable to prevent Allenby’s advance into Palestine. Now Falkenhayn is dismissed. His successor is Liman von Sanders, the German general who had commanded Turkish forces at Gallipoli. Liman von Sanders has worked with the Turks for some time now; unlike more recently arrived German officers he understands the importance of treating Turkish officers with respect. Falkenhayn has one achievement to his credit from his time in Palestine: the salvation of the region’s Jewish community. The Jewish minority there comprises a long-standing indigenous community together with more recently arrived Zionist pioneers. Turkish leaders, particularly Djemal Pasha, the Middle Eastern proconsul, had become convinced that the Jews were inveterately disloyal and were aiding the Allies. Djemal decided to deport the entire Jewish community from the region. Falkenhayn realised that such a deportation would effectively mean the community’s extermination, as the previous deportation of Armenians from Anatolia had done. Fearful of the consequences of such an action, Falkenhayn was able to block the removal of the Jews. Since December 2015 General William Robertson has been serving as the Chief of the Imperial General Staff, making him Britain’s most senior army officer. Robertson’s rise to this exalted rank is quite an achievement, as he joined the army originally as a private. Robertson has been close to Haig, Britain’s Western Front commander. Although their relationship has frayed somewhat, Robertson has endeavoured to shield Haig from the criticisms of Britain’s politicians. Unfortunately Robertson is unable to protect his own position. Today he finds himself reassigned to a more junior role as a result of a dispute with the government over the inter-Allied Supreme War Council in Versailles. Robertson’s replacement is Henry Wilson, an Anglo-Irish general known for his love of political intrigue. Robertson’s departure leaves Haig in an exposed position. The bloody slaughter of Passchendaele has seen Lloyd George lose confidence in the Western Front commander. Unfortunately there is no obvious candidate to replace him and with a German offensive imminent now is not the time to put a new man in charge. Haig looks like his post is secure for the time being. At Brest-Litovsk Trotsky shocked the Germans by rejecting their harsh peace terms but then informing them that Russia will fight them no more. The Bolsheviks hope that this ‘No War, No Peace‘ strategy will expose the Germans as naked aggressors if their army resumes its advance in the east, triggering revolution from Germany’s war weary working class. Ludendorff is Germany’s Quartermaster General and the effective dictator of his country. He does not care about being seen as a naked aggressor; he wants the war in the East brought to an end as soon as possible so that he can concentrate his efforts on the Western Front offensive he is planning. Today German and Austro-Hungarian troops launch Operation Faustschlag, an offensive intended to force the Russians to sign the peace treaty. They encounter no meaningful resistance; by now the old Tsarist army has been disbanded and the recently established Red Army is in no position to take the field against the Kaiser‘s juggernaut. The Germans and their allies advance at a speed that would be unimaginable on the Western Front.